The first feature, Pretty Please, appears to be live already. 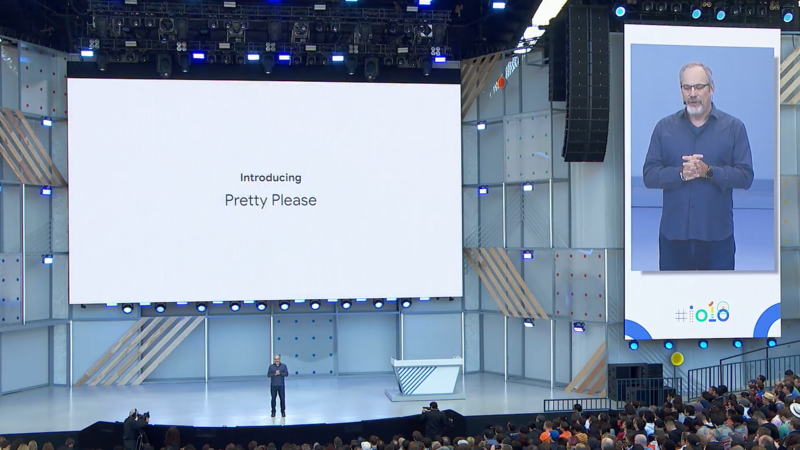 Announced at I/O 2018 in May, Pretty Please wants to encourage everyone, adults and kids alike, to have good manners when they talk to their speaker. It's easy to be rude to a faceless robotic voice, so the aim here is to not forget our good habits, even when addressing a virtual assistant. For now, it looks like simply adding "please" to your request will result in some positive vibes such as "What a classy way to ask," or "I like hearing that magic word." I don't have kids so I don't know if there's any option to specifically enforce the "please" word or their request will be denied, but do let us know how it works for you. Assistant responding to politeness with "You're music to my ears." Another addition to Google Assistant specifically on Smart Displays is support for lyrics. It will only work with Google Play Music though, and with "select songs," so you may not benefit much from it. Google says that synchronized lyrics will appear on the screen while the music plays, you don't have to do anything to get the feature to show up. Also for Smart Displays, Google is adding the option to talk back when you get a ring on your Nest Hello doorbell. A new blue "talk" button will show up on the display and allow for two-way communication with your visitors. You'll also be able to quickly hide a photo you don't want to see on your display anymore, or share a photo with one of your contacts. Google's announcement post also includes a bunch of features that are already live or have been announced before, such as calling Santa, children stories read-alongs, third-party list provider support including Google Keep (still not live), replying to broadcasts, and a quick way to add alarms on Smart Displays.